Decade by decade, your skin goes through many changes. For instance, in the teen years, hormones fluctuate and your average teen may go through painful periods of acne. This can be a devastating time in any young person’s life. Just keeping the skin clean may not be enough. There are several in office treatments that can be performed by a professional which will help improve teenage skin. A simple deep- pore cleansing once a month can keep pores cleaned out allowing acne products to penetrate more effectively. For more severe grades of acne, chemical peels such as salicylic acid can keep your child’s acne under control. Salicylic acid is an oil loving molecule which will help suppress oil gland activity and decrease inflammation. In some cases, as acne begins to heal, dark spots or post inflammation hyper- pigmentation (PIH) is left behind. 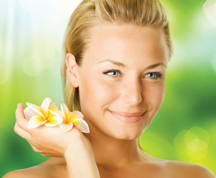 Microdermabrasion is an excellent treatment which increases cellular turnover to even skin tone. It’s important for the health of a teenager’s skin to have it evaluated and treated as this time. Keeping acne under control will help prevent scaring. In your 20s, you may not think that the aging process has begun. But it has been proven that 80% of lifetime, free- radical damage happens before turning 21. All that time spent in the sun working on a tan contributes heavily to this. Hectic lifestyles coupled with an irregular diet and sleep schedule can lead to more damage, puffiness, and toxic overload. In your 20’s your main priority should be to protect your skin from free-radical damage and prevent the formation of premature fine lines and wrinkles. Monthly facials, enzyme treatments and use of professional/medical grade products containing Vitamin A and Vitamin C and a non-comedogenic sunscreen, along with a professional mineral makeup, are just a few things that will keep your skin healthy and prevent premature aging. as Microdermabrasion, chemical peels (including the VI Peel) and prescription strength products such as Retin A , all assist to stimulate fibroblast activity which stimulates collagen production. acid, the main ingredient, is a natural gel substance found in the body that provides fullness and volume. With age however, your body’s natural stores become depleted, resulting in wrinkles and deep lines around the mouth (marionette lines) and below the nose (nasolabial folds) Hyaluronic acid helps counteract the depletion by augmenting your body’s natural supply. After years of squinting, laughing, and frowning the skin around the eyes and forehead will often develop lines and wrinkles called “expression lines.” A frequent concern is that they often make you look older, tired, or stressed. Until recently these line have been difficult to treat. Now, by utilizing the FDA-approved muscle relaxing agent Botox/Dysport, expression lines can be significantly reduced. Hormonal changes send the skin into overdrive. The most noticeable change is the level of hydration, this is due to a rapid deterioration of your skin’s moisture barrier. To fight this, it is important to treat your skin with highly hydrating ingredients that also work to repair the barrier at the same time. The skin also becomes thinner, pores larger. It is important to support the collagen and elastin production while helping the skin maintain its surface layer of immunity through botanicals and extracts. IS Clinical is a product line that is loaded with these ingredients. I use these products with my in office treatments and they are available for retail. Lynn has 20+ experience as a visiting nurse specializing in wound care. She is a nurse injector and has 14 years experience as a cosmetic skin care specialist. 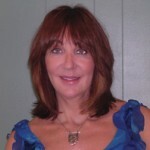 She has opened/launched medical spas for dermatologists and Plastic Surgeons in Delaware and Pennsylvania. She has opened Lynn Victoria Cosmetic and Medical Skin Care in Chadds Ford, PA. Some of the services she provides…..Botox/Dysport. Restylane/Juvaderm dermal fillers. Medical Microdermabrasion, mild to moderate chemical peels, corrective facials, epidermal leveling/dermaplaning, etc.